I think a lot of times as adults we lose one of the most important tools in our get happy, be happy, stay happy arsenal. That tool is the power to play. To wonder about stuff. To pretend. To imagine. That’s why I’m so glad on day 2 of our fabulous stay at home vacation we went to the zoo and played like big, goofy, overgrown kids. 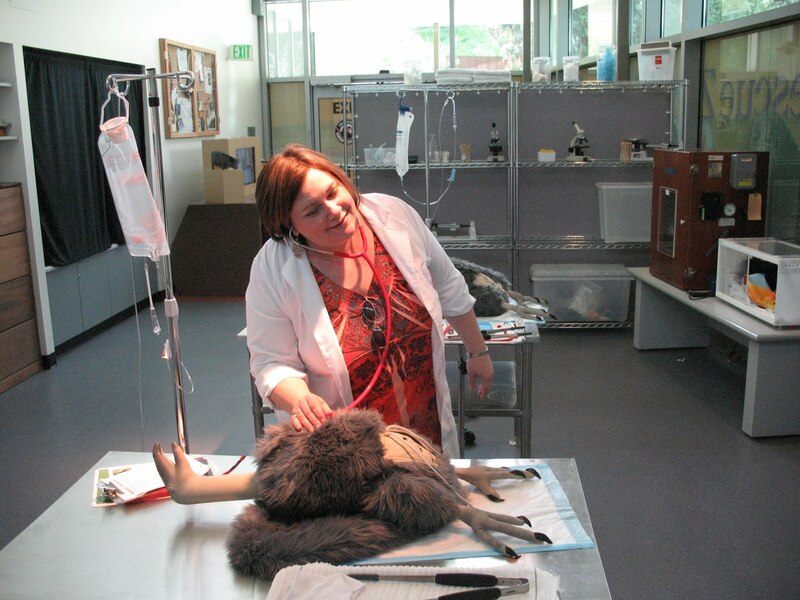 That’s a picture of me at the Condor experience, playing “doctor” with a stuffed, trussed, pretend condor. The coat was not designed for grown-ups (especially a big girl like me) but I managed to don it long enough for the hubby to get the snap. All I can say is, if you’re feeling sad or stressed or cranky go outside and PLAY! I want a stuffed, trussed, pretend condor too!